The holidays are expensive, it’s just a fact! But there is hope to curb holiday spending and still enjoy them. I have 10 tips to help you save this year and in years to come! ~tips 9 and 10 coming tomorrow! Shop prices not sales and make big purchases last –it’s a mental thing. Once a big priced item is bought, it softens you to spending. Here’s why: Once you shell out for something costly, your brain loses perspective on what’s a good price. After you buy the $250 item, purchasing a $30 or $40 item fazes you less. Great sales will continue through the shopping season. Shop your price point. Start by doing a bit of research about item prices on your holiday list and armed with this information, when you see that price –head to the store or internet, buy it and don’t look back. Avoid multiple trips to the store or you’ll spend more than planned. Go in the store armed with coupons (search online for coupon codes or printable discounts) and avoid impulse buying by purchase only the items planned. Watch for sales on products you need through the year. This time of year so many things are on sale and they are not necessarily just for the holidays: chocolate chips, sugars, flour, canned broth or soups, cracker varieties and nuts. I have a monthly seasonal sales list to help you. Purchase extra staple groceries with a long shelf life now. Watch for discounts on paper napkins, mailing supplies, boxes, tape, envelopes, batteries and pet items too. Consider upcoming events, birthdays, weddings, baby showers, or other coming holidays and events. When purchasing gifts or decorations now for upcoming occasions it saves you money, time and the frustration of finding them later. Buy timeless gifts. For kids look for traditional toys: building blocks, games, play kitchen items, coloring books or puzzles. Weddings or bridal showers: picture frames, serving dishes, crystal, kitchen appliances or gadgets, or linens. For adults: tools, electronics, perfume, jewelry or jewelry boxes. Future holidays: Buy red for Valentine’s Day, buy green for St. Patrick’s Day, buy tissue paper, candles and plain gift bags for upcoming celebrations or office parties. By applying the saving strategy of purchasing now for the future will help your pocketbook all year long. Search the Tip Resource Coupon Database for extra coupon savings on these items. 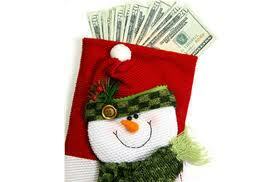 Print holiday coupons and watch for sales or upcoming clearance items!